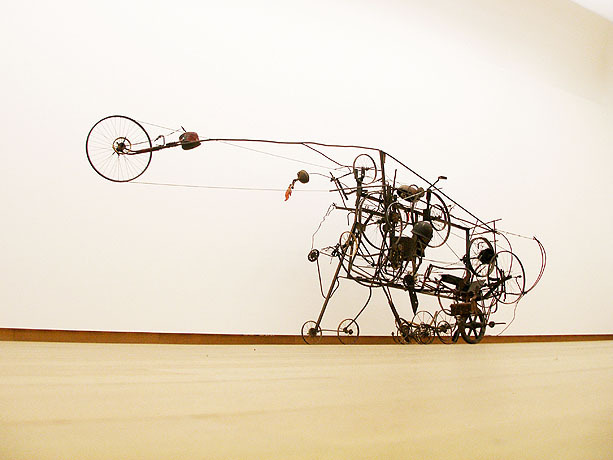 Kinetic art is a style where movement has central role in the work. The art form in which objects move is a phenomenon that started at the beginning of the twentieth century form. 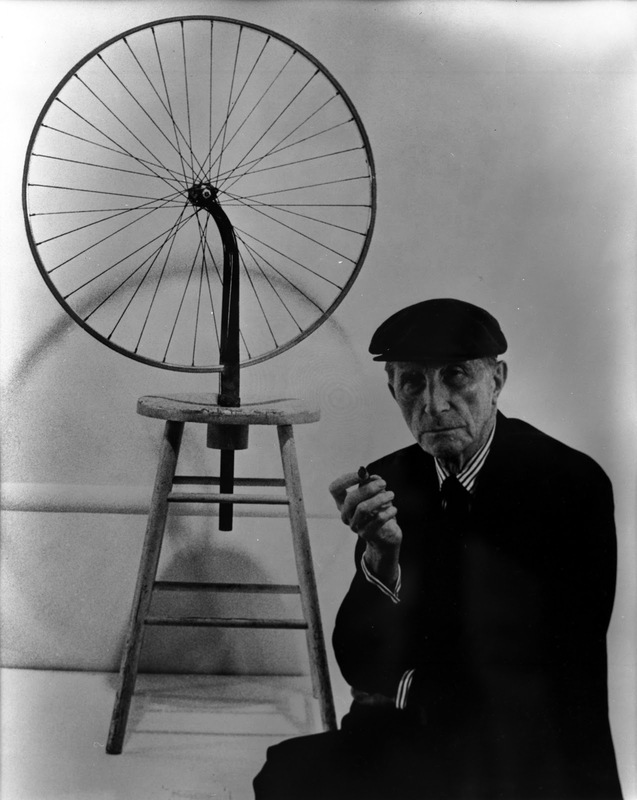 It was Marcel Duchamp with his bike wheel in 1913 who made the first art object that moved. This moment is often described as the birth of kinetic art. The influence of Dadaism and the opart was an accelerator for the kinetic art. 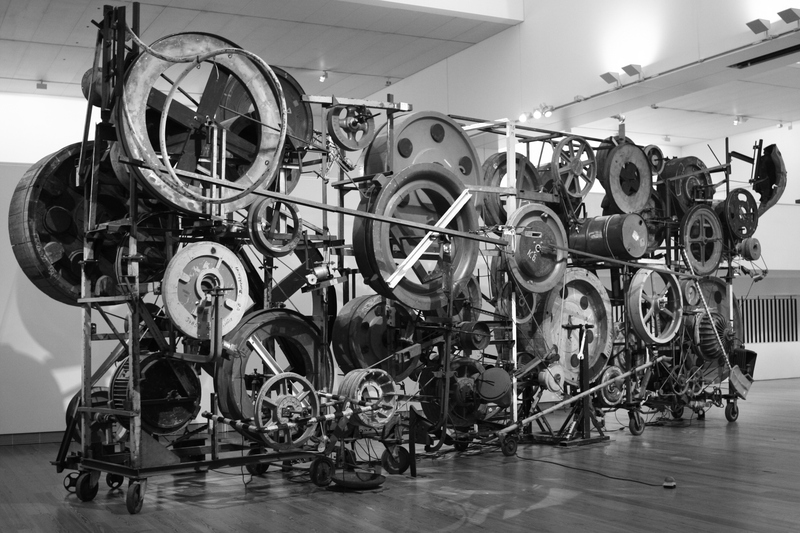 Around the 1920s, worldwide experimental projects occured with artifacts that are set in motion by the wind, humans or machines. Still, the phenomenon was very limited and often limited to creating the illusion of motion. 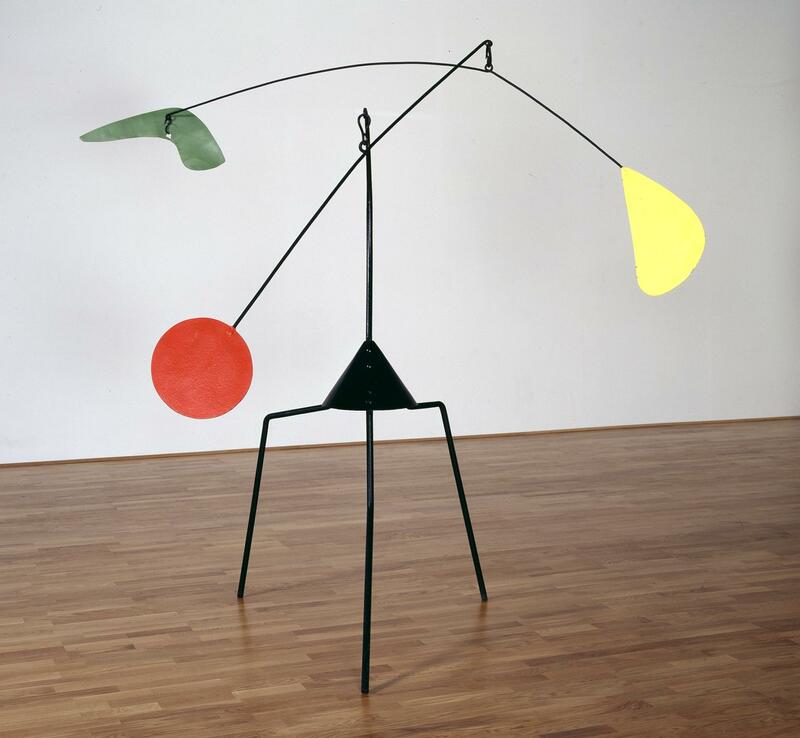 The American Alexander Calder realizes his first Bocal de Poissons Rouges à manivelle in 1929. Three years later he began making his legendary Mobiles, which now have conquered the world. 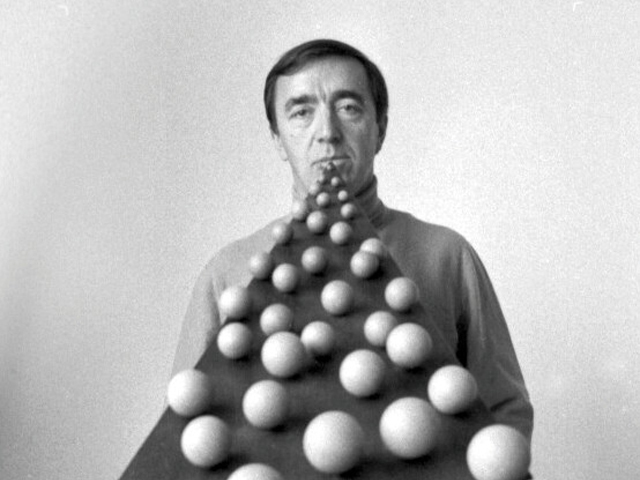 He was the first artist of whom the most important part of his work is devoted to kinetic art. After a certain stagnationkinetic art again flourished in the early 1950s. At that moment Victor Vasarely was an important key figure. Together with the gallery Denise Renee, he brought together a large group of artists who felt united in the op-art and kinetic art. The first group included Joel Stein, François Morellet, Garcia Rossi, Julio Le Parc and Francisco Sobrino, but Garcia Miranda, Lily Greenham, Helge Sommer Rock, Walter Zehringer and Miroslav Sute followed around 1970. Finally the big exhibition The Responsive Eye, in 1965 at the Museum of Modern Art (MoMA) in New York, bought the Americans Richard Anuszkiewicz, Benjamin Cunningham, Larry Poons and British Bridget Riley in the spotlight. After 1965, optical and kinetic elements are becoming increasingly difficult to separate. Other artists in the same influence are Jesús Rafael Soto, Eusebio Sempere, Yaacov Agam, Narciso Debourg, Walter Leblanc, Ludwig Wilding, Christian Megert, Gabriele the Vecchi, Heinz Mack, Karl Gerstner, Getulio Alviani, Youri Messen-Jaschin, Enzo Mari, Uli Pohl, Luis Tomasello, Carlos Cruz-Diez, Pol Bury, Martha Boto, Bernard Lassus, Gerrit van Bakel, Gijs van Bon, Hans-Michael Kissel, Nicolas Schöffer and har voogt. Also today a lot of kinetic art is created. 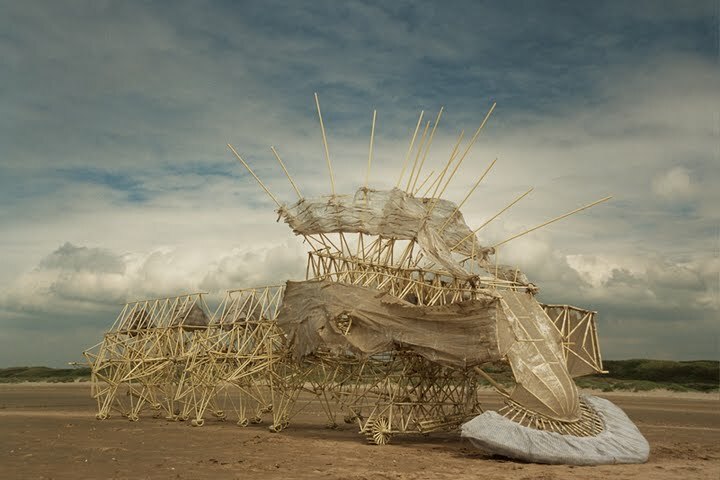 The Dutch artist Theo Jansen, for example, makes skeletons of PVC designed to walk on wind energy on the beach. Joost Conijn built a car of wood that runs on wood.